Many moons ago, in a career far away, I learned that successful leaders understand their own limitations, and surround themselves with talented people who can fill in the gaps. I'm constantly working on my leadership skills, especially when it comes to goal setting for three cats and a dog. Mainly, I've asked that they don't embarrass me in public in exchange for full bellies, warm beds, and on-demand attention. Being indoor only, the cats do a pretty good job holding their end of the bargain. Although, they have been known to help themselves to fresh salmon during dinner parties, and frequently scream bloody murder during minor vet procedures, causing the entire waiting room to gasp in horror. So, I guess they haven't held up their end, after all. Then there is Clooney. Well, he's a dog. And to ask him not to embarrass me goes against every fiber of his being. Anyone who lives with a dog, knows what I'm talking about. So, perhaps I need to re-evaluate the goals I've set for "my team". Anyway, I digress. This isn't about Clooney and the cats, and my ability (or lack there of) to lead them effectively. It's about an amazing session I had a few weeks ago in San Fransisco! It's about understanding one's limitations and surrounding oneself with talented people. It appears, I can take portraits of puppies and kittens (among other things), but designer I am not. I had been wanting to revamp my website and client welcome packet for awhile, but didn't have the skills or time to do so on my own. So, I was absolutely delighted to meet Brittany and Stella! Brittany is the magician behind my beautiful website (and welcome packet). And...well...Stella, is Brittany's Top Dog. I am completely and utterly grateful to both of them. You see, Brittany has an important day job and helped me as a favor. 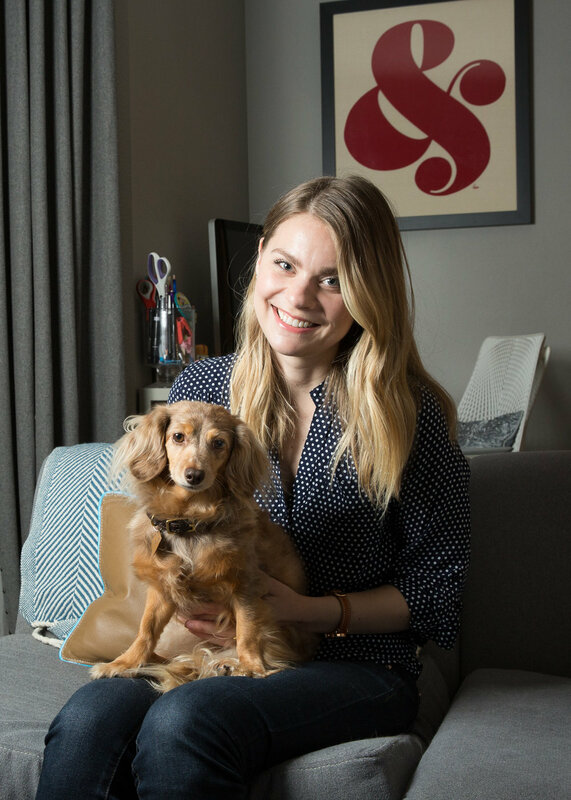 Besides being a design genius, Brittany is also a huge animal lover, and I'm pretty sure she worked with me simply because she enjoys viewing pictures of cute dogs and cats. And Stella? Well, she graciously put up with our many Skype calls, which at times went way too long (in her opinion). Brittany and Stella, the unstoppable duo. Words barely describe how much I adore Stella! Brittany is pretty cool, but seriously, Stella steals the cake. She's pretty. She's poised. She knows what she wants, and expects you to deliver. She is as sweet as can be and LOVES her "mom". 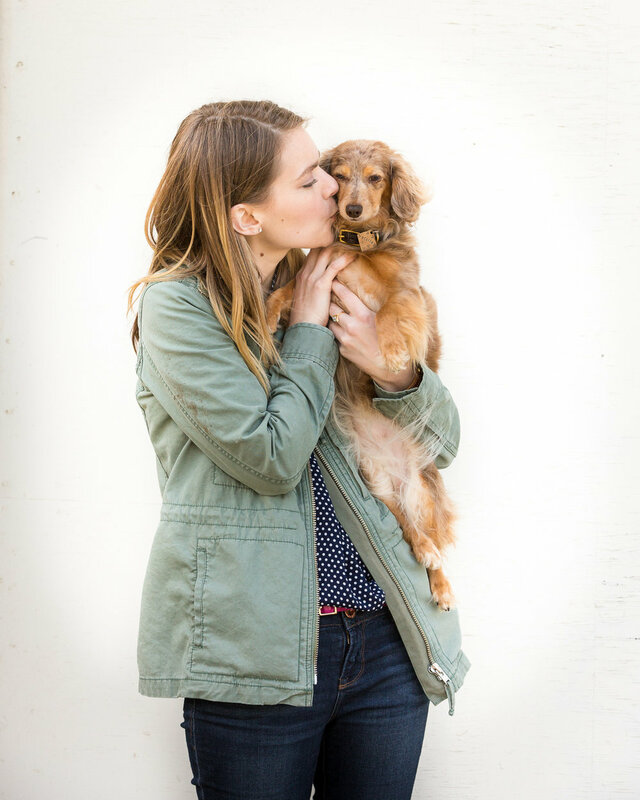 She's a one of a kind Wiener dog turned San Fransisco princess. So, having a beautiful website was simply a side benefit of meeting these two lovely ladies. More importantly, I had the great honor of spending time with and photographing them in San Fransisco. What a treat! After some play time, we went for a quiet stroll along the boardwalk before Stella's Sports Illustrated debut. Finally, we humans needed some nourishment so stopped for dinner. Boy did Stella have words about our greediness and unwillingness to share. Thankfully, she quickly forgave us after a tickle, and was back to her happy little self. Alas, all good things must come to an end, and Wiener princesses get tired. Huge THANKS to Brittany and Stella for a wonderful day of love and laughter! Newer PostSession Spotlight - Italian Greyhounds!